The Fijian Government’s long-term vision for the tourism industry is to double the industry in terms of income in the next five years. This was outlined by the Minister for Tourism, Industry and Trade Faiyaz Siddiq Koya at the 22nd Australia Fiji Business Forum which ended in Sydney yesterday. Mr Koya said of the strategy: “This is focused on enhancing service delivery, providing high quality product that attracts the high-end market, whilst maintaining our focus on the traditional family holidaymakers market. “The Fijian Government has already begun charting its path to high growth in the tourism industry and this is evident in the very healthy figures. Mr Koya highlighted Fiji is a recognised for great qualities including the happiest country and a niche family holidaymakers market. “However, we want our image to be beyond the sun, sea and sand,” he added. 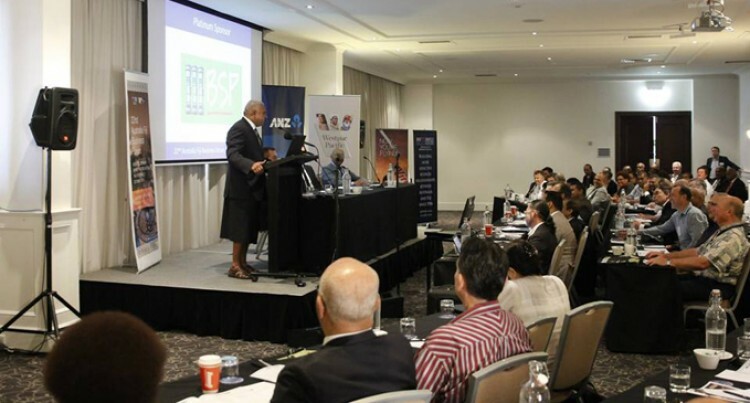 The 22nd Australia Fiji Business Forum was over two-days with the theme: ‘Australia and Fiji: An Enduring Business Partnership’.